and the product SolCube - a portable solar generator - we manufacture SolCube with European components in Nigeria. 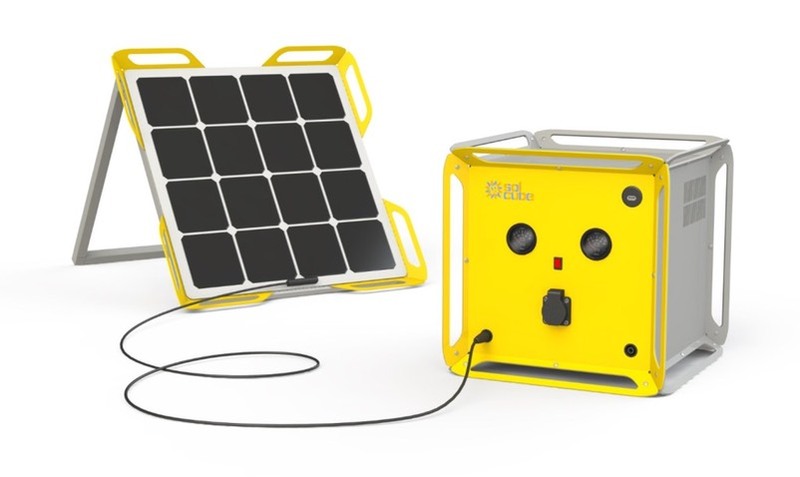 SolCube is a plug and play solar system with integrated battery and electronics ready to store the energy generated from solar modules and convert them into electricity for daily use. The cube is 42 x 42 x 42 cm from 500 W up to 1.000 W Ac power with a battery capacity of 1.000 Wh. SolCube advantage over conventional solar systems is that it is portable, handy and quickly installed. - Easy to manufacture > can be locally manufactured. - Easy to maintain and repair > gives long lifetime. - Can be individual configured for different requirement in the community.